Фотобанк Rusmediabank – лицензионные Фото, Видео, Музыка - 10 monochrome seamless patterns for universal background. Black and white colors. Endless texture can be used for wallpaper, pattern fill, web page background. Vector illustration for web design. 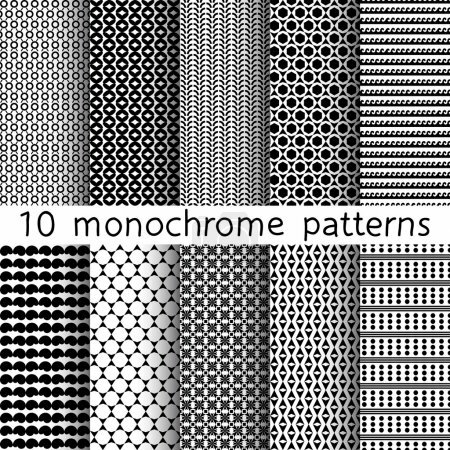 10 monochrome seamless patterns for universal background. Black and white colors. Endless texture can be used for wallpaper, pattern fill, web page background. Vector illustration for web design. XL 2333 x 2333px 15 Mb.